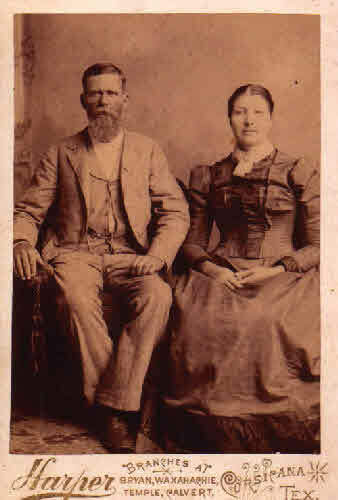 John Marion Harper and Rebecca Jane Alexander Harper, courtesy of Francie Herring. • His Find A Grave memorial, which includes a biography and a picture of what may be a family home, is here. [S733] Francie Herring, family group sheet provided to Roger Bartlett, 27 Mar 2002 (naming Jesse Harper as his father). [S733] Francie Herring, 27 Mar 2002 family group sheet, above (naming Samantha Shelton as his mother). [S67] The Dallas Morning News, Dallas, Tex., 22 Mar 1930, part 1, p. 16 (obituary of J. M. Harper) (not giving the date or place but stating that he was ninety years old when he died on 21 Mar 1930). [S961] Find A Grave, online at http://www.findagrave.com, memorial for John Marion Harper, memorial no. 28097731, viewed on 23 Nov 2016. [S961] Find A Grave, online, above, memorial for Rebecca Jane Alexander Harper, memorial no. 28097808, viewed on 23 Nov 2016 (not giving the date). [S67] The Dallas Morning News, Dallas, Tex., 22 Mar 1930, part 1, p. 16 (obituary of J. M. Harper); 23 Mar 1930, part 1, p. 15 (obituary of Capt. J. M. Harper). [S733] Francie Herring, 27 Mar 2002 family group sheet, above (giving the date but stating that he died in Chatfield, Texas). [S796] Navarro County Cemetery Records, vol. 7, above, New Chatfield Cemetery survey, p. 5 (common marker with Rebecca J. Harper) (naming the place but not giving the date). [S67] The Dallas Morning News, Dallas, Tex., 23 Mar 1930, part 1, p. 15 (obituary of Capt. J. M. Harper) (giving the date and stating that he was buried in Chatfield, Texas without identifying the cemetery). [S961] Find A Grave, online, above, memorial for John Marion Harper, memorial no. 28097731, viewed on 23 Nov 2016 (not giving the date; stating that interment was in the Old Chatfield Cemetery). [S733] Francie Herring, 27 Mar 2002 family group sheet, above (naming John Marion Harper as his father). [S733] Francie Herring, 27 Mar 2002 family group sheet, above (giving his name as William Marion Harper and naming John Marion Harper as his father). [S733] Francie Herring, 27 Mar 2002 family group sheet, above (naming John Marion Harper as her father). [S67] The Dallas Morning News, Dallas, Tex., 22 Mar 1930, part 1, p. 16 (obituary of J. M. Harper) (naming J. M. Harper as her father). Rebecca Jane Alexander and John Marion Harper, courtesy of Francie Herring. Other Names*: Rebecca Alexander, Rebecca Jane Alexander Harper, Rebecca Jane Harper, Rebecca Alexander Harper, Rebecca Harper, Rebeckah Alexander, Rebeckah Jane Alexander Harper, Rebeckah Jane Harper, RebeckahAlexander Harper, Rebeckah Harper. "Mrs. Rebeckah [sic] Jane Harper, wife of Capt. J. M. Harper, passed away at the family home in Rice last night after a long illness, aged 81 years. "Surviving the deceased are her husband and six sons and two daughters: Dr. W. M. Harper, Dallas; Jess Harper, G. W. Harper and R. L. Harper of Rice; Joe Harper of Palestine, City Secretary J. A. Harper of Corsicana, and Mrs. James Mizell of Chatfield, and Mrs. C. B. Knight of Ennis. She also had one step-son, Dr. Boss Harper. "The deceased had been a resident of this county for near forty years, and was greatly loved by a large circle of friends. [S733] Francie Herring, family group sheet provided to Roger Bartlett, 27 Mar 2002 (naming Mather [or Matthew] Alexander as her father). [S733] Francie Herring, 27 Mar 2002 family group sheet, above (naming Amer Borden as her mother). [S961] Find A Grave, online at http://www.findagrave.com, memorial for Rebecca Jane Alexander Harper, memorial no. 28097808, viewed on 23 Nov 2016 (giving the date but not the place). [S961] Find A Grave, online, above, memorial for John Marion Harper, memorial no. 28097731, viewed on 23 Nov 2016. [S11] Index to Texas Death Records (Austin, Tex. : Tex. Dept. of Health, Bur. of Vital Statistics), typescript, 1903-40, vol. 22, p. 10713, file 33287 (giving the date, county, and state). [S1207] Corsicana Daily Sun, Corsicana, Tex., online archive at http://corsicana.newspaperarchive.com, 15 Oct 1924, p. 1, col. 5 (obituary of Mrs. J. M. Harper) (stating that she died "last night" at the family home in Rice at age 81 after a long illness). [S796] Navarro County Cemetery Records, vol. 7, above, New Chatfield Cemetery survey, p. 5 (common marker with John M. Harper) (not giving the date). [S1207] Corsicana Daily Sun, Corsicana, Tex., online archive, above, 15 Oct 1924, p. 1, col. 5 (obituary of Mrs. J. M. Harper) (stating that she was buried ("in the Chatfield cemetery") without specifying which cemetery). [S1207] Corsicana Daily Sun, Corsicana, Tex., online archive, above, 15 Oct 1924, p. 1, col. 5 (reprinted here with consent of the Corsicana Daily Sun). [S961] Find A Grave, online, above, memorial for Rebecca Jane Alexander Harper, memorial no. 28097808, viewed on 23 Nov 2016. [S733] Francie Herring, 27 Mar 2002 family group sheet, above (naming Rebecca Jane Alexander as her mother). Marriage*: He married Samantha Shelton. Marriage*: She married Jesse Harper. [S733] Francie Herring, family group sheet provided to Roger Bartlett, 27 Mar 2002 (naming Samantha Shelton as his mother). Marriage*: He married Amer Borden. Marriage*: She married Mather Alexander. Dr. Warren Alexander Harper's tombstone, Nursery Cemetery, Victoria, Tex., by Bob Kelch. [S961] Find A Grave, online at http://www.findagrave.com, memorial for Dr. Warren Alexander Harper, memorial no. 46303398, viewed on 26 Jul 2011. [S961] Find A Grave, online, above, memorial for Pelham Borden Harper, memorial no. 46303462, viewed on 26 Jul 2011 (not giving the date). [S961] Find A Grave, online, above, memorial for Dr. Warren Alexander Harper, memorial no. 46303398, viewed on 26 Jul 2011 (not giving the date). [S961] Find A Grave, online, above, memorial for John Pelham Harper, memorial no. 46303428, viewed on 26 Jul 2011 (naming Dr. Warren Alexander Harper as his father). Pelham Borden Harper's tombstone, Nursery Cemetery, Victoria, Tex., by Bob Kelch. [S961] Find A Grave, online at http://www.findagrave.com, memorial for Pelham Borden Harper, memorial no. 46303462, viewed on 26 Jul 2011. [S11] Index to Texas Death Records (Austin, Tex. : Tex. Dept. of Health, Bur. of Vital Statistics), typescript, 1946-55, vol. 9, p. 4341, file 60829 (giving the date and county but not the city). [S961] Find A Grave, online, above, memorial for Christine Elizabeth Harper, memorial no. 46303288, viewed on 26 Jul 2011 (naming Pelham Borden Harper as her mother). 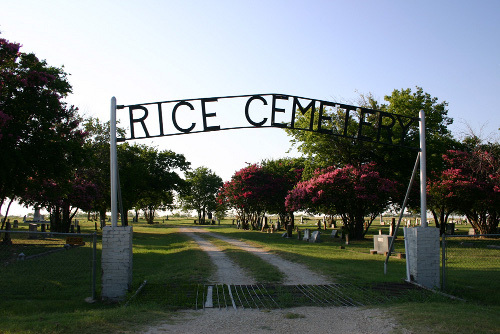 [S796] Navarro County Cemetery Records, vol. 7 (Corsicana, Tex. : The Navarro County Gen. Soc'y, 1987), New Chatfield Cemetery survey, p. 3. [S796] Navarro County Cemetery Records, vol. 7, above, New Chatfield Cemetery survey, p. 3 (identifying him as "son of Mr. & Mrs. George Walter Harper"). Other Names*: Cora Harper, Bettie Harper, Betty Harper, Cora Harper Knight, Cora Knight, Bettie Harper Knight, Bettie Knight, Betty Harper Knight, Betty Knight. [S733] Francie Herring, family group sheet provided to Roger Bartlett, 27 Mar 2002 (naming John Marion Harper as her father). [S796] Navarro County Cemetery Records, vol. 7 (Corsicana, Tex. : The Navarro County Gen. Soc'y, 1987), New Chatfield Cemetery survey, p. 5 (giving her name as Bettie H. Knight). [S796] Navarro County Cemetery Records, vol. 7, above, New Chatfield Cemetery survey, p. 5 (stating that they had a common grave marker and identifying Bettie H. Knight as Cullen B. Knight's wife). [S796] Navarro County Cemetery Records, vol. 7, above, New Chatfield Cemetery survey, p. 5 (common marker with Cullen B. Knight). [S796] Navarro County Cemetery Records, vol. 7, above, New Chatfield Cemetery survey, p. 5 (common marker with Bettie H. Knight). Other Names*: John Harper, J. A. Harper. J. A. Harper, 82, former secretary for the City of Corsicana, died in New London Tuesday afternoon [27 Mar 1962]. Funeral services were held from the McCammon Chapel Wednesday at 3 p. m. with burial in Oakwood cemetery. The rites were conducted by Rev. Robert Wooddy, pastor of the First Baptist church. He was a native of Chatfield but spent most of his life in Corsicana. Surviving are [three daughters, a son, eleven grandchildren, two great-grandchildren, a brother, and a sister]. [S1207] Corsicana Daily Sun, Corsicana, Tex., online archive at http://corsicana.newspaperarchive.com, 28 Mar 1962, p. 1, col. 5 (obituary of J. 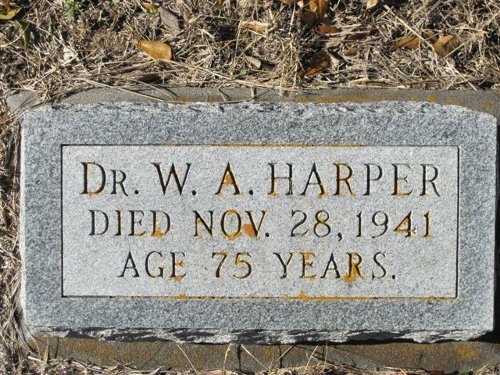 A. Harper), not giving the date but stating that he was eighty-two years old when he died on 27 Mar 1962. [S733] Francie Herring, 27 Mar 2002 family group sheet, above (giving the date but not the place). [S1207] Corsicana Daily Sun, Corsicana, Tex., online archive, above, 28 Mar 1962, p. 1, col. 5 (obituary of J. A. Harper). [S1207] Corsicana Daily Sun, Corsicana, Tex., online archive, above, 28 Mar 1962, p. 1, col. 5, reprinted here with consent of the Corsicana Daily Sun. [S1207] Corsicana Daily Sun, Corsicana, Tex., online archive, above, 28 Mar 1962, p. 1, col. 5 (obituary of J. A. Harper) (not giving the dates of office). Birth*: She was born on 24 August 1882. Other Names*: Myrtle Guynes Harper, Myrtle Harper. Funeral services for Mrs. John A. Harper, 78, native of Corsicana, who died in Longview Thursday, were held Saturday at 3 p.m. from the Corley Chapel. The rites were conducted by Rev. Robert Wooddy, pastor of the First Baptist church. Burial was in Oakwood cemetery. The family, formerly of Corsicana, had resided at Longview 19 years. Surviving are [her husband, a son, three daughters, eleven grandchildren, and two great-grandchildren]. [S1207] Corsicana Daily Sun, Corsicana, Tex., online archive at http://corsicana.newspaperarchive.com, 20 May 1961, p. 10, col. 6 (obituary of Mrs. John A. Harper). [S1207] Corsicana Daily Sun, Corsicana, Tex., online archive, above, 20 May 1961, p. 10, col. 6, reprinted here with consent of the Corsicana Daily Sun. Other Names*: Mary Caroline Harper, Mary Harper, Carrie Harper, Mary Caroline Harper Mizell, Mary Caroline Mizell, Mary Mizell, Mary Harper Mizell, Mary Mizell, Carrie Harper Mizell, Carrie Mizell. [S796] Navarro County Cemetery Records, vol. 7 (Corsicana, Tex. : The Navarro County Gen. Soc'y, 1987), New Chatfield Cemetery survey, p. 11 (giving her name as Carrie G. Mizell). [S796] Navarro County Cemetery Records, vol. 7, above, New Chatfield Cemetery survey, p. 11 (giving her name as Carrie G. Mizell) (common marker with James E. Mizell). [S796] Navarro County Cemetery Records, vol. 7, above, New Chatfield Cemetery survey, p. 11 (common marker with Carrie G. Mizell). [S1207] Corsicana Daily Sun, Corsicana, Tex., online archive at http://corsicana.newspaperarchive.com, 14 Mar 1935, p. 9, col. 4 (obituary of Mrs. Edith Harper) (naming S. O. Harper as her surviving husband without giving the date or other information). [S1207] Corsicana Daily Sun, Corsicana, Tex., online archive, above, 14 Mar 1935, p. 9, col. 4 (obituary of Mrs. Edith Harper). Other Names*: Edith Joiner Harper, Edith Harper. 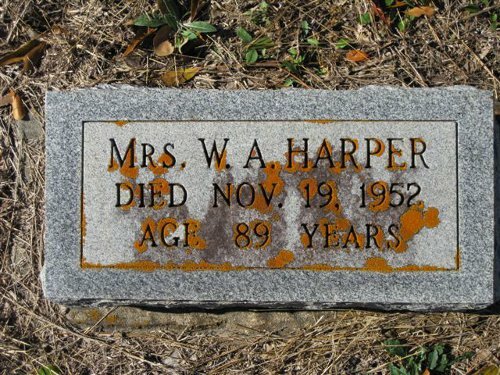 Mrs. Edith Harper, age 45 years, wife of S. O. Harper, Rice, died at 2 o’clock Thursday morning [14 Mar 1935] in the Navarro Clinic. Funeral services will be held Friday afternoon at 2 o’clock from the home of her sister, Mrs. T. A. Farmer, 620 West Eleventh avenue. The rites will be conducted by Rev. C. B. Knight and Rev. H. B. Clark. Interment will be in the Rice cemetery. Surviving are her husband, a son, Edwin; a daughter, Annl [sic], all of Rice; her parents, Mr. and Mrs. T. H. Joiner, Corsicana; three sisters, Mrs. T. A. Farmer, Corsicana; Mrs. S. A. Pope, Corsicana; Miss Eula Joiner, Corsicana; four brothers, Earl Joiner, Corsicana; Hubert Joiner, Corsicana; Robert Joiner, Corsicana; Clarence Joiner, Mexia and other relatives. [S1207] Corsicana Daily Sun, Corsicana, Tex., online archive at http://corsicana.newspaperarchive.com, 14 Mar 1935, p. 9, col. 4 (obituary of Mrs. Edith Harper) (not giving the date but stating that she was forty-five years old when she died on 14 Mar 1935). [S1207] Corsicana Daily Sun, Corsicana, Tex., online archive, above, 14 Mar 1935, p. 9, col. 4 (obituary of Mrs. Edith Harper) (naming S. O. Harper as her surviving husband without giving the date or other information). [S1207] Corsicana Daily Sun, Corsicana, Tex., online archive, above, 14 Mar 1935, p. 9, col. 4 (obituary of Mrs. Edith Harper) (stating that she died at 2:00 a.m.). [S961] Find A Grave, online at http://www.findagrave.com, memorial for Edith Harper, memorial no. 39984003, viewed on 23 Oct 2013 (stating only that she died in Mar 1935 in Navarro County, Texas). [S1207] Corsicana Daily Sun, Corsicana, Tex., online archive, above, 14 Mar 1935, p. 9, col. 4. [S28] James Alonzo Matthews, Jr. and Lucille Pearce, comps., Pearce, Bartlett, Matthews, Smart, and Allied Families (Austin, Tex. : Eakin Publications, Inc., 1983), p. 185 (naming David Pearce as his father). Other Names*: Mary Ann Pearce McCasland, Mary Pearce McCasland, Mary Ann McCasland. [S28] James Alonzo Matthews, Jr. and Lucille Pearce, comps., Pearce, Bartlett, Matthews, Smart, and Allied Families (Austin, Tex. : Eakin Publications, Inc., 1983), p. 185 (naming David Pearce as her father). [S28] James Alonzo Matthews, Jr. et al., Pearce [etc.] and Allied Families, above, p. 185 (stating that his will was dated 5 Sep 1858 and probated 3 Jan 1859). [S28] James Alonzo Matthews, Jr. et al., Pearce [etc.] and Allied Families, above, p. 185 (stating Daniel Pearce's will dated 5 Sep 1858 named Robert Pearce as a son who was to inherit when he became twenty-one years old). [S28] James Alonzo Matthews, Jr. et al., Pearce [etc.] and Allied Families, above, p. 185 (stating Daniel Pearce's will dated 5 Sep 1858 named Wiley Pearce as a son who was to inherit when he became twenty-one years old). Other Names*: Louisa Pearce, Louisa Evaline Pearce Rutherford, Louisa Pearce Rutherford, Louisa Evaline Rutherford, Louisa Rutherford. Other Names*: Barbara Barrett Pearce, Barbara Pearce. [S28] James Alonzo Matthews, Jr. and Lucille Pearce, comps., Pearce, Bartlett, Matthews, Smart, and Allied Families (Austin, Tex. : Eakin Publications, Inc., 1983), p. 185 (stating Daniel Pearce's will dated 5 Sep 1858 named Robert Pearce as a son who was to inherit when he became twenty-one years old). [S28] James Alonzo Matthews, Jr. and Lucille Pearce, comps., Pearce, Bartlett, Matthews, Smart, and Allied Families (Austin, Tex. : Eakin Publications, Inc., 1983), p. 185 (stating Daniel Pearce's will dated 5 Sep 1858 named Wiley Pearce as a son who was to inherit when he became twenty-one years old). Marriage*: She married Jonathan Golladay. Marriage*: He married Nancy Ann Southerland. [S31] Navarro Leaves and Branches, above, vol. XXV, no. I (Feb 2002), p. 22 (naming Phillip Highnote as his father). Marriage*: She married Phillip Highnote. [S31] Navarro Leaves and Branches, vol. XXV, no. I (Feb 2002), p. 22 (naming Nancy Ann Southerland as her mother).